How to keep creative interesting for the new summer desserts menu throughout the summer season while maximizing campaign reach? 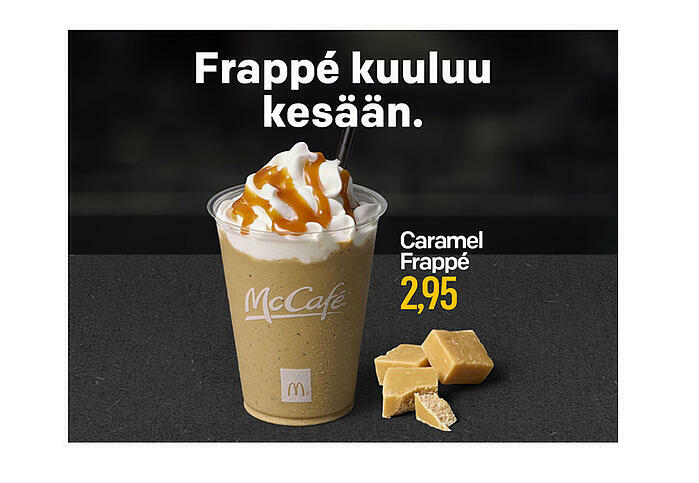 This was the challenge facing McDonald’s agency as they thought about ways to drive awareness in a relevant way without producing dozens of creatives manually. Using Smartly.io’s Automated Ads, McDonald’s was able to target their ads based on location and local weather data in cities with McDonald’s restaurants. The ad copy and images reflected the real-time local weather conditions in each city. 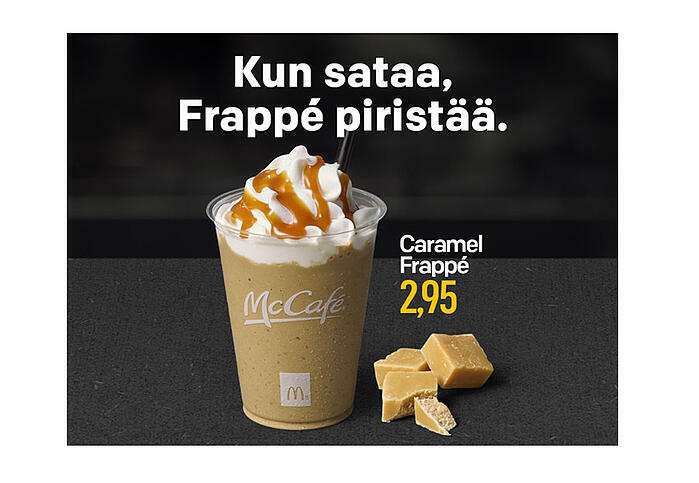 What could be more relevant than a cold Caramel Frappé on a hot day from a restaurant nearby? The Indulgence Desserts menu items were also promoted as a quick pick-me-up on rainy days. With this creative automation setup, OMD was able to produce hundreds of ads that all included locally relevant content and messaging for maximum engagement.